I have almost 60,000 followers on Twitter (as of February 2017), and while that might not be Lana Del Rey numbers (she’s in the millions), it’s enough for people to ask me which tools I use to manage my Twitter account. If you’re into Growth Marketing or Customer Success, and want to meet other people in your industry, find mentors, market your products and services, or just want in on the conversation, here’s how I do all that and more. TribeBoost helps you increase your Twitter followers by monitoring real-time hashtags and keywords that specifically relate to your niche. Then they go one step further by looking at biographical data, location and influence, and automatically follow the most promising leads. You know how it works – to gain followers, first you must follow. What I love about TribeBoost is that it doesn’t unfollow users who follow you back. FollowerWonk lets me look at who my followers are, where they are, and what they’re talking about, which means I can find people with common interests that much faster. Hey, we might have even met that way. I use Buffer to schedule my Tweets in advance, Start A FIRE to promote my brand and content, and IFTTT to, well… this takes some explaining. IFTTT is a semiacronym for “if this, then that.” You enter an if-then statement, like “If new Twitter follower, then send LinkedIn invitation.” It’s really amazing and can be used for everything from social media to getting alerts on your phone when the book you’ve been waiting for finally hits Kindle. Well worth your time to investigate its possibilities. All the best conversations are happening in Twitter these days. It’s the best way to reach other people in your industry, like mentors, bloggers and thought-leaders. TweetChat makes it easy to chat by letting you just enter in a hashtag to follow a conversation. From there, you can save your favorite conversations on FavePages (sorted by date and hashtag) and even share FavePage Stories – all the Tweets in a conversation, curated by you (i.e. you can hide and re-order Tweets as needed). HashTracking literally optimizes your conversation by telling you stats on the hashtag being used, lists of contributors and influencers, and giving you the ability to create shareable HashTracks™ infographics. I remember the days when 140-characters was all you got – now we’ve got a thousand words we have to come up with! In pictures, I mean. 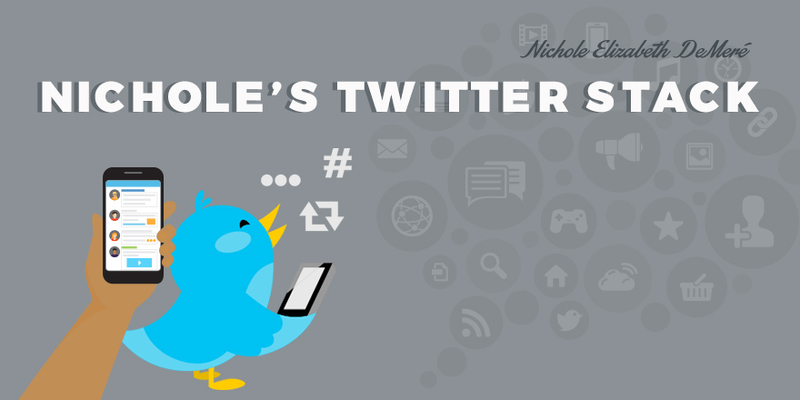 I use Canva and Pablo to create quick images that gain a little more attention for my Tweets. Pullquote makes it easy for me to Tweet quotes or images from articles I find online. Just highlight the quote, select Tweet from the menu that pops up, enter your thought, tag it, and it’s Tweeted. A content curator’s dream. Yes, I love my tools, but their sole purpose is this: To make it easier for me to share really interesting, useful content with you. That said, the one thing that I think you should never automate is engagement (I hate automated DMs), but everything else is fair game. What are your favorite tools? Leave a comment and let me know. Image created by Yasmine Sedky (‏@yazsedky). 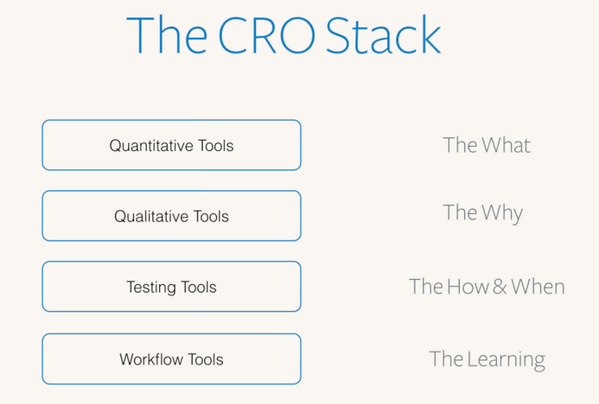 Qualitative, quantitative, testing, and workflow tools for conversion rate optimization. 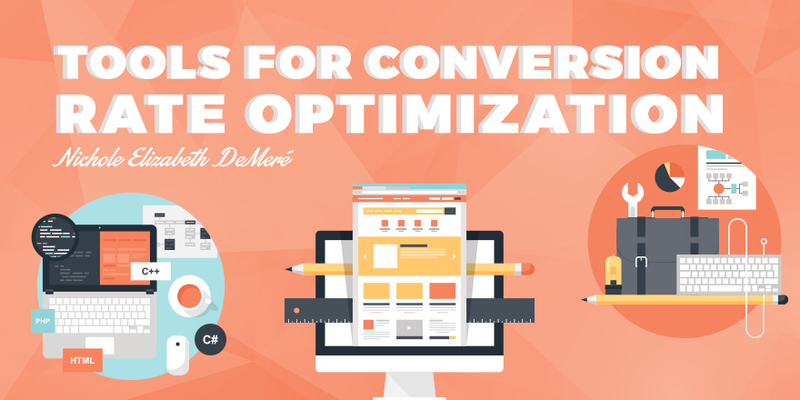 Conversion Rate Optimization is one of the most powerful levers for driving online business growth. The Conversion Rate Optimization process includes quantitative and qualitative data and testing with a scientific approach. As Peep Laja mentions, “[CRO] tools aren’t as important as knowing what to do with them. Putting a scalpel in someone’s hand doesn’t make them a surgeon.” That said, building a CRO stack won’t make you an expert, but it’s a good place to start when familiarizing yourself with related methodologies. 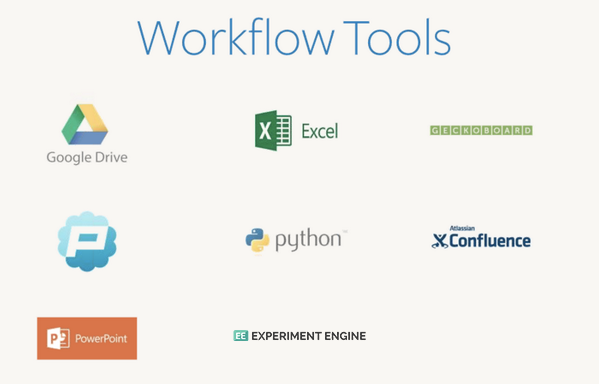 The tools listed here were curated by Qualaroo and Segment.io during a webinar about how to build the perfect conversion stack. There isn’t an accompanying video for it, but if you have questions you can direct them here. Google Analytics tells you what’s happening. 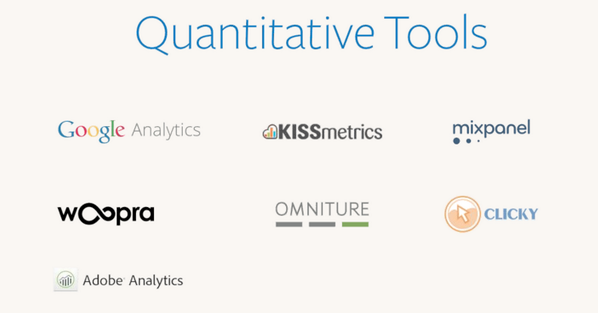 KISSmetrics tell you who’s doing it. Mixpanel lets you measure what customers do in your app by reporting actions, not page views. No more guessing what customers did on your site or app. Know how engaged each customer is, and exactly what actions they performed — all in real-time. Analytics, social, media optimization, targeting, web experience management — and now cross-channel campaign management with Adobe Campaign — Adobe Marketing Cloud does it all. Adobe Analytics helps you create a holistic view of your business by turning all customer interactions, including offline data, into actionable insights. The marketing reports and analytics, ad hoc analysis, and data workbench technologies give you access to easy-to-use, interactive dashboards, reports, and visualizations. With the market-leading solution, you’ll better understand the whole customer journey. Analytics tell you what people are doing on your website. Qualaroo tells you why. 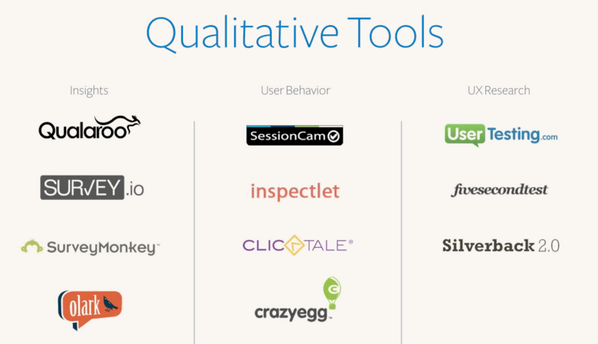 Qualaroo insights lead to smarter tests and faster improvements in your website’s performance. Create an initial customer development survey. SurveyMonkey is the world’s most popular online survey software. We make it easier than ever to create polls and survey questionnaires for learning about anything from customer satisfaction to employee engagement. Sign up to access our library of sample survey questions and expert-certified templates. Customize your survey questions, distribute your questionnaire on the web, and start collecting responses in real time. Our Analyze tool helps you turn survey data into insights and create professional reports. Experience the easiest way to boost your sales, help solve issues and understand your customers with Olark live chat. Session replay, heatmaps, and conversion funnels. Analyze user behavior instantly with eye-tracking heat maps, screen capture (record and playback actual visitor sessions), and user-interaction analytics. ClickTale takes the guess work out of website optimization, conversion analysis and usability research. Knowing how visitors use your website will enable you better target specific audiences, improve customer satisfaction and increase conversion. Use ClickTale to analyze the performance of your online forms, keep visitors engaged in page content, and lead them through the conversion process. Get videos of real people speaking their thoughts as they use your website or mobile app. to action by analyzing the most prominent elements of your design. Guerrilla usability testing software for designers and developers. Increase engagement, interactions, and conversions. Marketers: build, publish & A/B test your landing pages without I.T. Easily create and test app-like digital experiences that generate leads, enhance brands, and drive revenue. Create and test different versions of your website to continuously discover the best performing versions that increase your online sales. Mobile apps installation referral and conversion tracking service. Most marketers want to test and target but don’t think they have the time, expertise, or tools. Adobe has simplified it to a click. Yozio makes it easy for organizations with mobile apps to develop a deep understanding of their users and drive acquisition, engagement, revenue and retention. Drive starts you with 15 GB of free Google storage, so you can keep pictures, stories, designs, drawings, recordings, videos — anything. We make Macintosh software: Coda, Diet Coda, Transmit, Unison, Prompt, and more. Unlock insights and tell the story in your data. Build your testing plan, source variations, run experiments, and gather results–all from one platform. Use data to make better decisions and motivate your team. 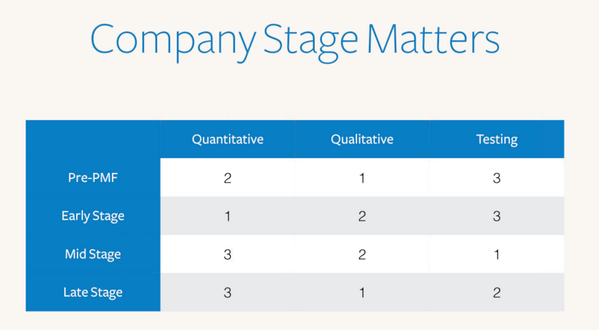 Company stage matters when conducting CRO. Morgan Brown goes into detail about that here. “Automagically” sharing just about anything is Buffer’s claim to fame. It’s their business to make being a contributing member of the online community easier. But when it comes to making the lives – and jobs – of the people behind Buffer easier, it gets complicated. The stack of apps Buffer uses to get the job done was four years in the making and is still changing as the company scales. 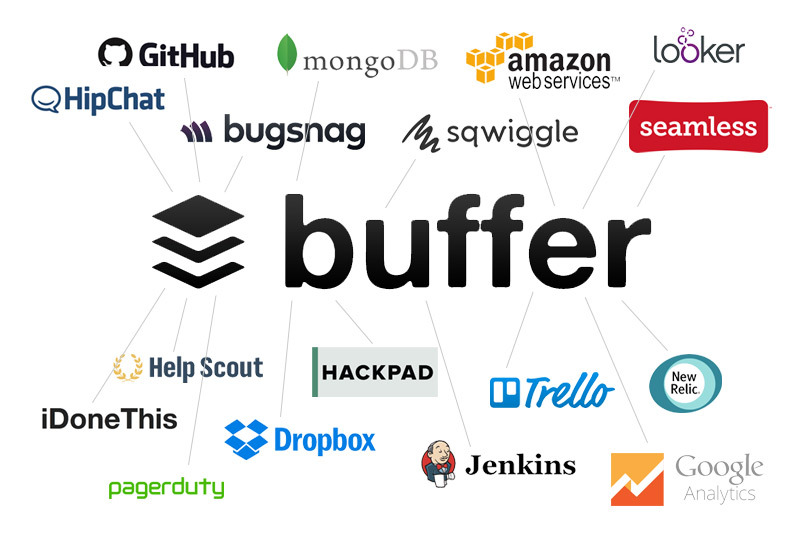 What tools does a growing company like Buffer need? Tom Redman, mobile developer at Buffer, shared not only their current stack, but their reasoning behind every layer. Buffer is a tight-knit team, and when one person sees a need or pain-point, he or she researches available options and checks with the team to see if there are any takers. When Sunil Sadasivan, Buffer’s CTO, thought that having a more open, idea-based discussion forum would help foster new ideas (without cluttering up email or HipChat threads) he set up an internal Discourse site. Anything and everything goes, keeping HipChat and email for more focused discussions. And yes, Buffer uses HipChat rather than Slack – but they didn’t always. In the beginning was the Slack channel. And it was good. But Slack didn’t give the team much control over its notifications system, which lead them back to HipChat. “HipChat is our office,” says Tom. Buffer also uses Small-Improvements for positive and constructive feedback. Small-Improvements is performance review software that allows users to set and track objectives, send messages, and most importantly, dish out lots of praise. To further create the feeling of a spontaneous office environment with remote team members, Buffer uses Sqwiggle for rapid-fire video chats. Sometimes, all the emoticons in the world can’t take the place of seeing the expression on your co-worker’s face. While instant message style tools like HipChat and Slack are ideal for keeping a long-distance team connected, sometimes you need to write more than a chat window or thread can comfortably hold. When this happens, the Buffer team switches to Gmail – with “heavy filtering and labels.” Each team member receives a lot of mail, and as the team grows, Gmail’s sorting and labeling features become more and more important. In the midst of flying emails from teammates, instant messages and video chats, it’s almost too easy to forget that clients, customers, and people outside your work circle might also want to speak with you. For these communications, Buffer uses HelpScout for email, and SparkCentral for Twitter. When your company is growing as fast as Buffer, organization and project management become all-important. And, they can become all-consuming without the right tools. Buffer employs several tools to help them stay focused, organized and on track. For product specs, personal task tracking, getting advice, or just about any other random thought, they use Hackpad. When it’s time to orchestrate a Task Force, or perform any task that involves a list, Trello is the preferred medium. iDoneThis is ideal for seeing which tasks have been completed in each person’s day (the Buffer team is completely transparent on who does what, when). And, for document organization and spreadsheets, Google Docs is the tool of choice – for most things. For other types of files and resources the team wants to share, they use Dropbox. They say “What gets measured gets done” and by the number of things Buffer gets done, they must measure a lot. Here’s their list of tools for keeping all the balls in the air (and getting instant alerts should one ball go down). Try new things, keep what works, and add it to the stack.